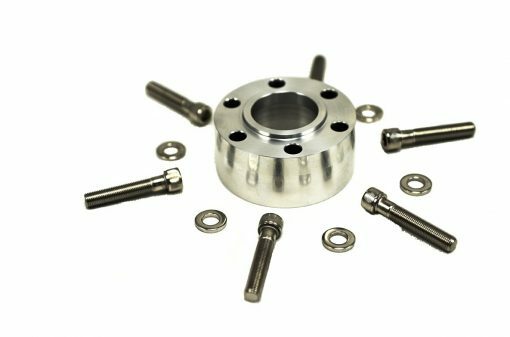 TBS Pulley Spacers are machined from the same high quality billet aluminum as TBS's signature billet Supercharger cases. Machined to precise specifications, there are a variety of sizes that may be mixed and stacked together to provide the necessary clearances. The spacers have the same 2 inch register and 6 hole universal pattern as our Blower Pulleys. Extreme care should be taken to install a flat and straight spacer. This will eliminate excessive "Pulley Wobble". 1 1/2", 1", 3/4", 1/2", 3/8", 1/4"